For losing weight, there many different solutions out there. And yes, these so!utions do include all sorts of pills, drugs & natural supplements – the weight loss medicines. They all help in losing weight, or at least make it easier for you to lose weight combined with other methods. Now questions are: Are these tall claims are just claims? How do they work? Lessen appetite. Make one feel more full so that one eat fewer calories. Lessen absorption of nutrients like fat, making one take in fewer calories. Enhance fat burning, making one burn more calories. Now the next thing. Let’s talk about the 5 best among these and most popular weight loss pills & supplements (are reviewed by science). It is the most commonly consumed psychoactive substance in the world which is found naturally in coffee, green tea & dark chocolate. It is added to many processed foods & beverages. But its main popularity is owing to its metabolic properties. It is is mainly well known as a metabolism booster, & is usually added to commercial weight loss supplements. How it works: Some short-term studies say that caffeine enhances metabolism by 4-12%, & increases fat burning by up to 30%. Effectiveness: There are some studies which suggest that caffeine can also cause modest weight loss in humans. Side effects: In few people, high amounts of caffeine can cause anxiety, irritability, nausea, diarrhea, insomnia, jitteriness & other symptoms. Moreover, it is also more like an addiction & can reduce the quality of sleep. There is really no need to take a supplement or pill with caffeine in it, the best sources of it are coffee & green tea, which have antioxidants & other health benefits as well. Orlistat is a pharmaceutical drug. It is sold over-the-counter under the name Alli, & under prescription as Xenical. How it works: It works by inhibiting the breakdown of fat in the gut, & makes one take in bit calories from “unwantef” fat. Effectiveness: According to a big review of 15 studies, it can increase weight loss by 7 pounds (3 kg) compared to a dummy pill. Other benefits: It reduces blood pressure slightly, & also reduces the risk of developing type II diabetes by 36%. Side effects: It has many digestive side effects, like: loose, frequent bowel movements, oily stools, flatulence, which are very hard to control. It also contributes to be the reason of deficiency of fat-soluble vitamins, such as vitamins A, D, E & K, in the body. In order to minimize side effects, it’s usually recommended to follow a low-fat diet while taking this drug. This weight loss supplement has been around for more than a decade, & is currently one of the most popular weight loss supplements of the world. How it works: This supplement has several ingredients that are claimed to help in weight loss, including caffeine & a few plant extracts. Effectiveness: One research has showed that it caused 22 lbs (10 kg) of weight loss over a period of 2 month. Side effects: If you’re caffeine sensitive, you may experience tremors, nausea, anxiety, jitteriness, diarrhea & irritability. It is a type of fiber. It is found in the roots of the elephant yam, and is also called konjac. How it works: It absorbs water & beecomes gel-like. It gets into gut & promotes a feeling of fullness, helping one eat fewer calories. Effectiveness: 5 studies done by well know researchers have shown that glucomannan, combined with healthy diet, can help people lose 12 pounds (5 kg) of weight in 6 weeks. Other benefits: It is a fiber which can feed the friendly bacteria in the intestine. It also can lower blood sugar, blood cholesterol & triglycerides. It is very effective against constipation. Side effects: Glucomannan can cause bloating, flatulence & soft stools, & can interfere with some of oral medications if taken at the same time. It is important to take it at right time and i.e about a half an hour before meals – with a glass full of water. It is a popular ingredient in many weight loss supplements. This is so because infinite studies have shown EGCG, the main antioxidant, in it. This main antioxidant aids in fat burning. How it works: It is believed to increase the activity of norepinephrine which a hormone that helps in burning fat. Effectiveness: Lots of human studies have proven that this ingredient can increase fat burning & fat loss – especially and mainly in the belly area. Side effects: It is generally well tolerated. It contains some caffeine, & may cause symptoms in the people who are caffeine sensitive. For enhancing the process of fat burning: Green tea extract. 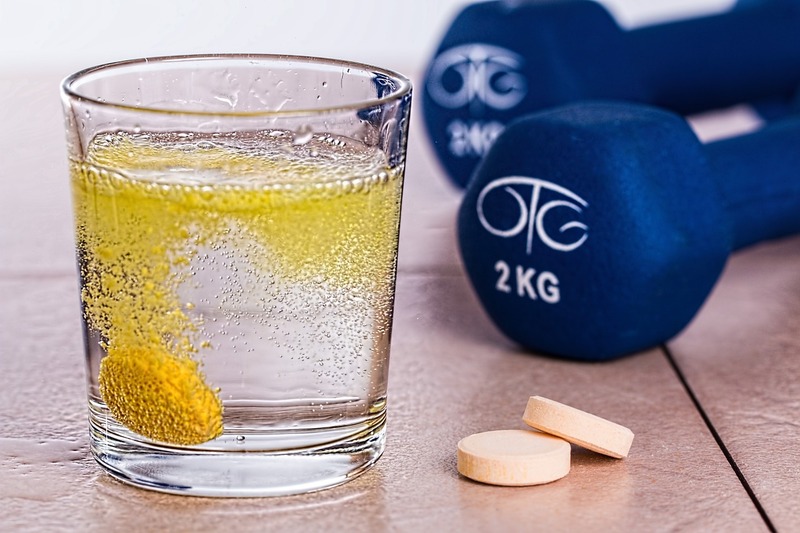 These Popular weight loss pills and supplements can be useful, but their effects are at their best at what we call “moderate rate”. Sadly, NO pill or supplement really works that much well for weight loss. They may give a bit of goose-bump to metabolism & help in losing a few pounds, but that is where it ends. The best way to have them is with a perfect healthy diet plan for which you should cut carbs & eat more protein. So 1st set a proper diet-meal plan and then choose any one of these pills.